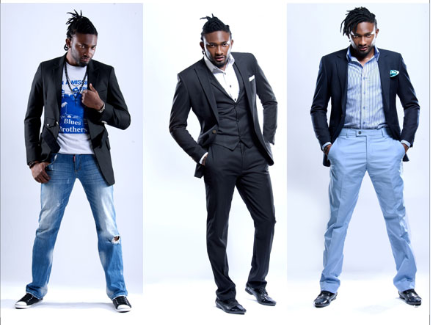 Model, actor, and events/TV host, Uti Nwachukwu has had to overcome gay rumors for being a metrosexual - the kind of guy that cares that he looks and smells good - but his clean-cut image has aided in his rise within entertainment circles. In this new article, he shares tips for other men, and also women, on good hygiene. Maintaining good hygiene can be a challenge in hot weather, especially in countries with modest dress codes like Nigeria, where the norm is for long sleeves and long skirts or trousers. Uti Nwachukeu notes that in his experience, many Nigerians smell, and their friends refuse to tell them the truth so as not to make them feel bad. But he blames the mouth and body odor for causing people social ridicule and believes that with better hygiene comes more success. DANG!!! Did that just come from you?Usually that’s what goes through your head if you are cursed to be seated close to someone with rancid breath or even worse if you end up in bed with someone who has become one with body odour. Yes, my fellow Nigerians. Quite a number of you smell. Be it body or mouth odour but it has become a threat to social existence in our society because some of you are so selfish and too wicked to bother about personal hygiene. Only money money money una de think? It’s not fair ooooo. Come on people, do you know that the way you smell can even favour or be bad luck to you when you are trying to get employed? I know of a model that was hot and when the designer asked her to try on the clothes, the minute she took her top off. The designer “change face” and said “you know what, I’ve changed my mind, your agency will get back”. He then went back to the casting crew and said : WTF? She smells like s***. This also happens to male models regularly and designers complain. I understand because a friend once borrowed my shirt and I had to turn it to a rag afterwards. On the other hand, my good friend in Benin borrowed my singlet and it came back smelling of how your box smells when you travel to Jand. Get this, it was unwashed. Now that’s a clean person. Nigerians! We live in a temperate region of the world. It’s hot and humid. Male or female , why on earth will you allow your armpit hair grow out? Do you not know that hair in closed places traps bacteria and builds up gunk that will now smell? Habah now! With or without antiperspirants, shave your armpit hair. I know some guys that will say oo it’s manly to have hair in your pits. Really?? To choke the babes that you are hugging or dancing with is manly? And you wonder why the girls go home with the metrosexual men more. Smh. Brosiyeeeeeee. Shave your pits. Nigeria is too hot, plus no matter what you say, hairy armpits are unsightly.And invest in really strong antiperspirants. Abeg, for the sake of your friends and girlfriends.It’s quite embarrassing to tell you but trust me, if you have armpit hair in Nigeria you do smell after a while and people just don’t want to tell you. Don’t even come with that crap about not being able to afford body sprays. There are very cheap ones if you don’t have enough money. Some go for as little as 150 Naira. No excuses. Buy them and use, I’d rather chill with a local person smelling good cheap than a classy person smelling like carbide. Let’s go to the body…this is really controversial. As a woman of course there should not be hair ANYWHERE on your body apart from your head. Someone shout out – Brazilian Wax. Hahaha kidding. Now guys. Smh….I remember in the University or was it Secondary School sef. One of my roommates came in and decided to change after classes. Omo the room actually changed when he took off his trousers, Gaddemm! How do I describe this smell. Like egg wey dem troway inside dustbin and forget take trash out overnight. I was in shock. Guys, guys, guysss! Stop with this: “It’s not masculine” talk. If you can use a clipper to shave your armpit hair because you will sweat in Nigeria, that body hair will trap odour o! If you are hairy, please shave your torso. Leave the ones on your legs and arms but please shave every other area. When you travel to cold regions. You can let it grow. And, pleaseeeee shave you privates o! Our organ ain’t self cleaning o and circumcised or not, if not groomed it will stink. Don’t believe me? If you have an afro wig down there, after a long day scratch and sniff your fingers (like u all normally do) hahahaha. It’s okay to have very low hair (carpet) on the Pelvic/top area so as not to breed endangered microscopic organisms. But please use a clipper if you are prone to bumps to carpet this area. But for the sack and the shlong abeeeeg shave clean, you can’t use clippers, else it will cut your life. Use a shaving stick and shaving cream. Luckily with the clipper, you can also shave the inner thighs and the dreaded hind region. Yes I said hind region. Lol, some of us have a rain forest there. Some people go say “I be man I nor dey use am for anything,” errr you do know that when you have hair there, believe it or not but particles of poo get entangled there unless you have time to shower after every no 2 or use water. And let’s face it, a lot of people don’t use water or shower after every no 2. And yes it can trap tissue. Do you remember that song in primary school? Craw craw deyyyy for person ny_____ Hahahaha. One way to also keep that place very clean, is to use very little petroleum jelly on your inner regions/thighs before you wear a fresh pair of boxers daily. Lol, Yes o. Please wear your boxers once and throw it in the laundry. No more 2 days rule. You dey shame as you de read this abi? This one is an epidemic. Is it our food? weather? Are people using cheap toothpaste? What is it? If I meet 10 people in a day at least 7 of them have some kind of funny breath. I have even had friends with pungent mouth odour and it used to freak me out to watch their babes kiss them. I’m like are you kidding me? Even entertainers! How can you allow your mouth smell? Habah! So I’ll share with you what I smartly suggested to him (without telling him his mouth was smelling) and it worked. Now he dey form big boy, dey do like he always had clean mouth. Rule number 1: Abeg, do not use your toothbrush for more than a month. Please buy a new one at the end of every month. That thing is used to remove dirt and bacteria every morning and night. And yes brush twice. -Use dental floss. Toothbrushes can’t remove all the particles stuck between your teeth. If you no sabi use floss, YouTube search the instructions. -Mouth wash was made by geniuses. If you have bad breath trust me you can taste it. So don’t lie to yourselves, there’s no way you will say you don’t know abeg! -Mouth wash kills bacteria that cause bad breath and also fights plaque. It even helps to clean holes if you have. Use it everyday at least for a while until your breath has been corrected. Then you can use as you like. -Tongue scrapper/cleaner comes in handy as well. The surface of the tongue is a coven for bacteria because that is what you use to mix the food as you masticate. You need to scrape off the surface and leave it fresh and clean because that thing will smell so bad if you let bacteria thrive. -During the daytime buy and chew the sugar free healthy mint gums if you go out to socialize. You can’t go wrong! So that’s it o!! I’ve done my part to help you people o. Don’t say I’m keeping these secrets to myself. LOL! I’m not a doctor neither am I a health specialist, I’m just a guy who has had experiences and does not joke with personal hygiene – in me and in others. Zero tolerance for unpleasant odours and trust me people will get more comfy with you. There’s no harm in trying. Try it and see. And remember it always begins with a choice…..